Just another day in S.E. Minnesota. Stream conditions are the same as they were the day prior, getting up to the low 80’s again and sun, oh the glorious sun. 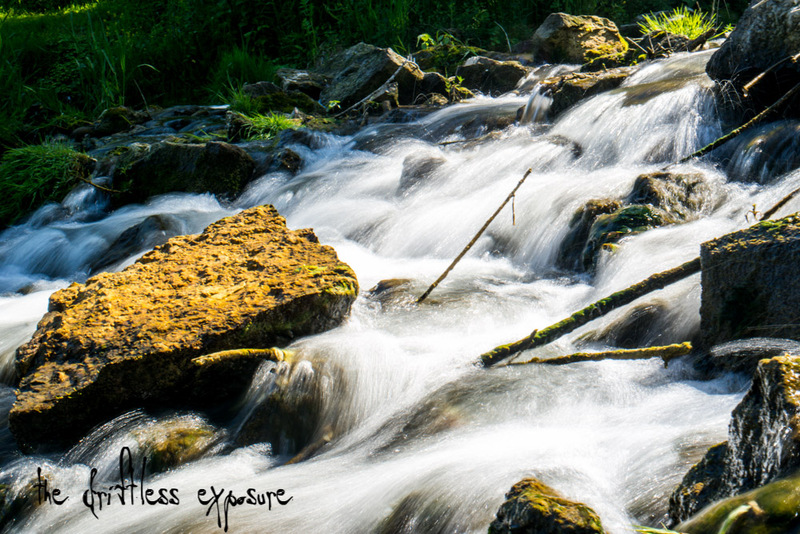 We have only had alittle under half an inch of precipitation at my house in the last week or two and the streams are running clear in almost all places. I say that and then I specifically search out larger faster flows towards the tail end of a system for dirty creek water on the hunt for something a bit larger. Last time I fished here I missed a brown that was an easy 20inches but over the years I’ve learned that these fish, which are few and far between, do not stick around long. They move, they hunt, one day you might see one or two then for weeks you might get skunked. There are smaller trout around but they are few as well and the water is deep and wide making finding them more of a challenge. 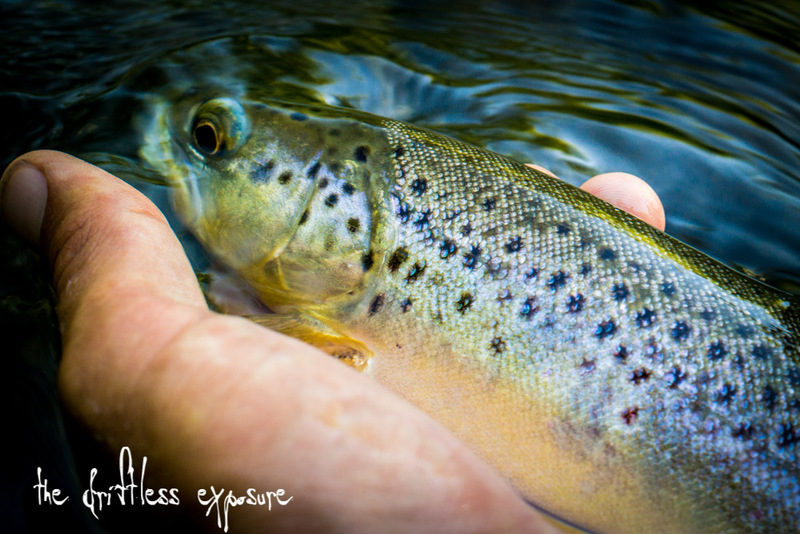 Lafontaine described experiments where he noted how far trout would move for a given sized meal, I can tell you that in this larger Driftless water your fly needs to get pretty damn close just to be seen let alone eaten. I chucked a #6 and #8 Black and Olive Sprinkle Me Baby for almost two hours and managed two fish, one about 10inches and the other pushing 15inches. Someone asked me a while ago how to catch big trout, my reply was pretty basic… go fishing… a lot. Simple as that. Sure sometimes you get lucky but if you don’t have a fly in the creek I guarantee you the chance you’re going to hook into a massive brown trout anywhere, let alone S.E. Minnesota is going to be 0%. Yea, I guess it also helps if you know where some of the larger trout frequent but don’t be fooled by water size, I know of a particular creek that put up the largest brown I’ve ever been fortunate enough to lay eyes on and it’s no larger than 10feet at it’s widest and most of it looks like a trickle. I asked an old timer once what the best color of Wooly Bugger was… his reply was “Oh, any color’ll do I guess. Just so long as it’s black.” I can hear him say it as if it happened a minute ago. I took that to heart but not exclusively. My rule on color is neither hard nor fast. If the clarity is really low but the water is still greenish colored I tend to go black but it’s its brown and turbid I tend to go Light Olive. Likewise the lower the clarity the more flash I tend to fish, rules are meant to be broken though so don’t take my word for it. My rules didn’t help me any today. A few last thoughts on big trout…tippet… go big or go home. 4x minimum. 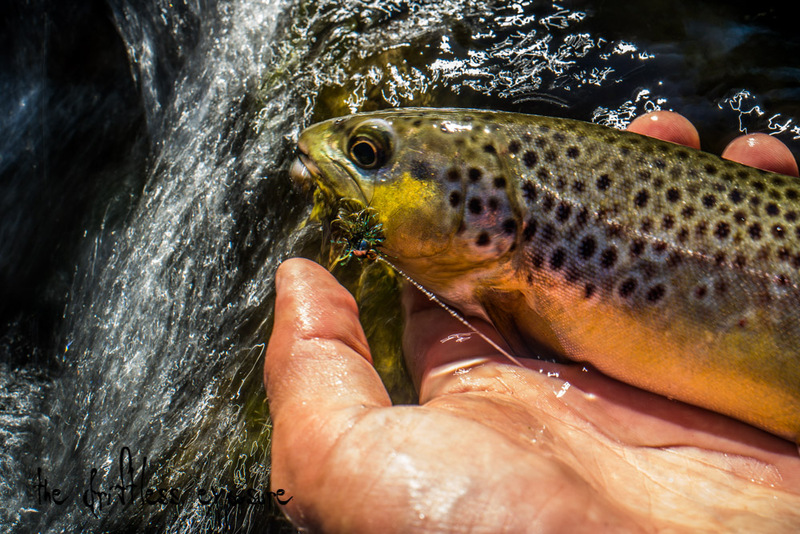 It’s better for you and the fish, especially if you’re fishing big dirty water, they don’t care about the size of your tippet. Haul those bad boys in and use a net. While we are discussing size the go big or go home rule applies to hook gap as well, something I am sometimes guilty of foregoing. I tie a lot of my stuff on whatever I have handy which isn’t always the best practice. And we all need to be reminded of two simple concepts every now and again, 1. fish everything and remember feeding locations. The biggest fish in a spot is going to dominate over that spot and it is usually not at the bottom of a hole, I like a down and in presentation for this at times. 2. Make that first cast count every time. You often only get one shot at a big one and most often you don’t even get that. Anyway, enough of my soapbox, this post might be just me reminding myself how to find and catch big fish. 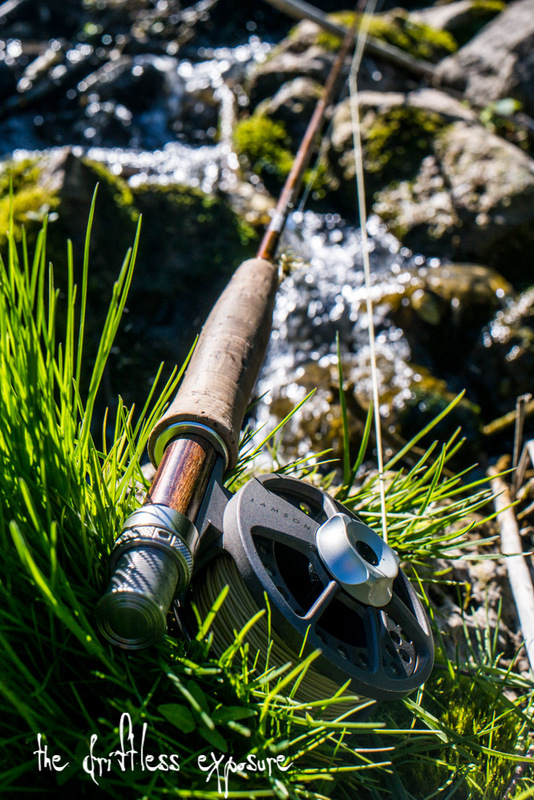 Go fishing…a lot.